For most outdoor activities, grilling should never be missed. And for that perfect and delectable grilled dishes, you’ll need the best outdoor gas grills on the market. But a best quality gas grill doesn’t always have to be expensive, does it ? So if your budget limits you at $500 or below, fret not! We’ve listed down the 4 best rated gas grills under 500 dollars in 2018 -2019. 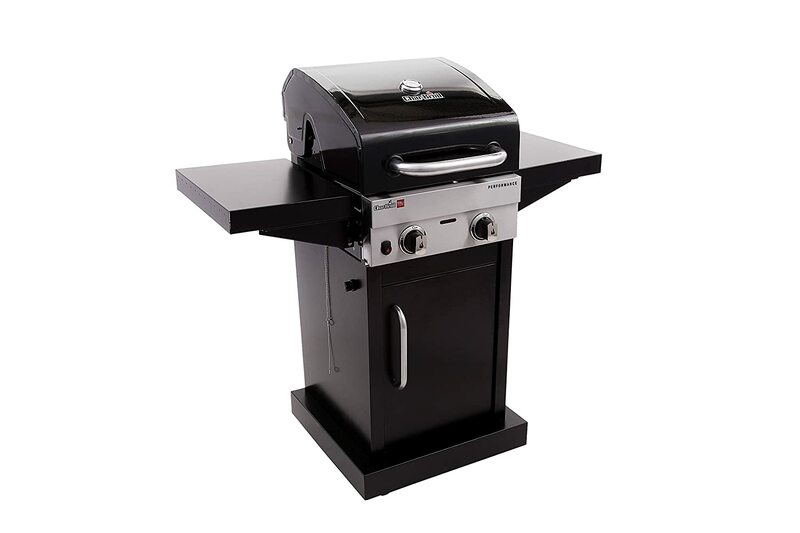 The options for the best gas grills is truly overwhelming. And because we don’t want to let things be hard on you, we’ve listed down the 4 of the best gas grills under 500 dollars. The Char-Broil Performance 475 is a 4-burner gas grill that is designed with two wheels which allows you to transport the grill easily. The four burners provides more versatility in cooking thus lets you grill more variety of dishes easy and quick ! As you open the stainless steel lid, you’d see the stainless steel burners and heat tents. This material is long lasting which ensures a durable gas grill for that will last for long periods of time. The startups are also easy to control and even the ignition is just in one push ! When it comes to heat, it heats up well and provides even heat. The flames are just perfect! 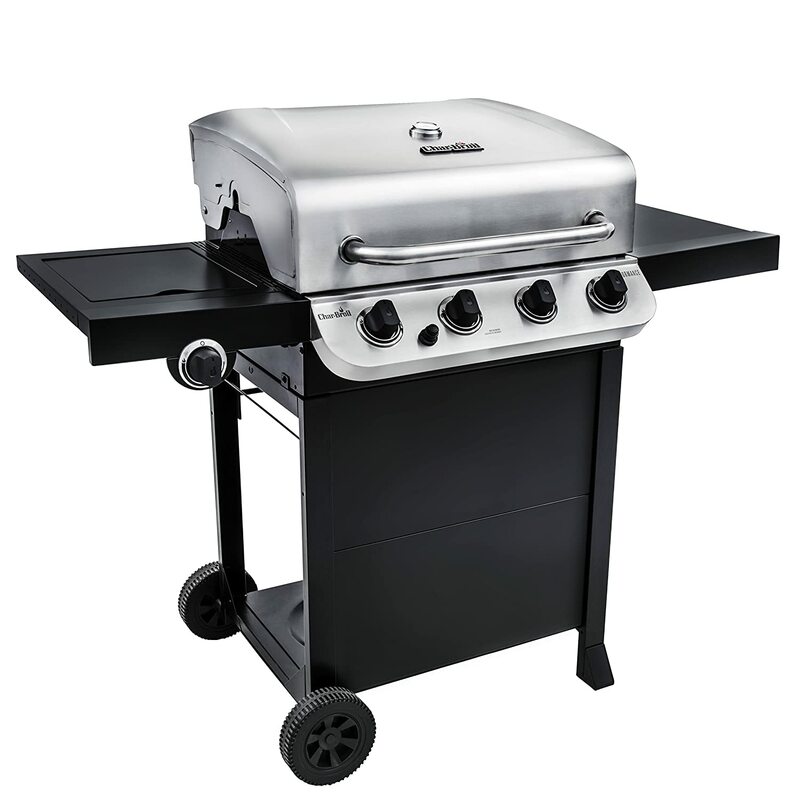 If you prefer a gas grill that you can move around your yard, the Blackstone 4-burner gas grill could be a great option. It promotes mobility with its four wheels that you can lock in place once you found your spot. 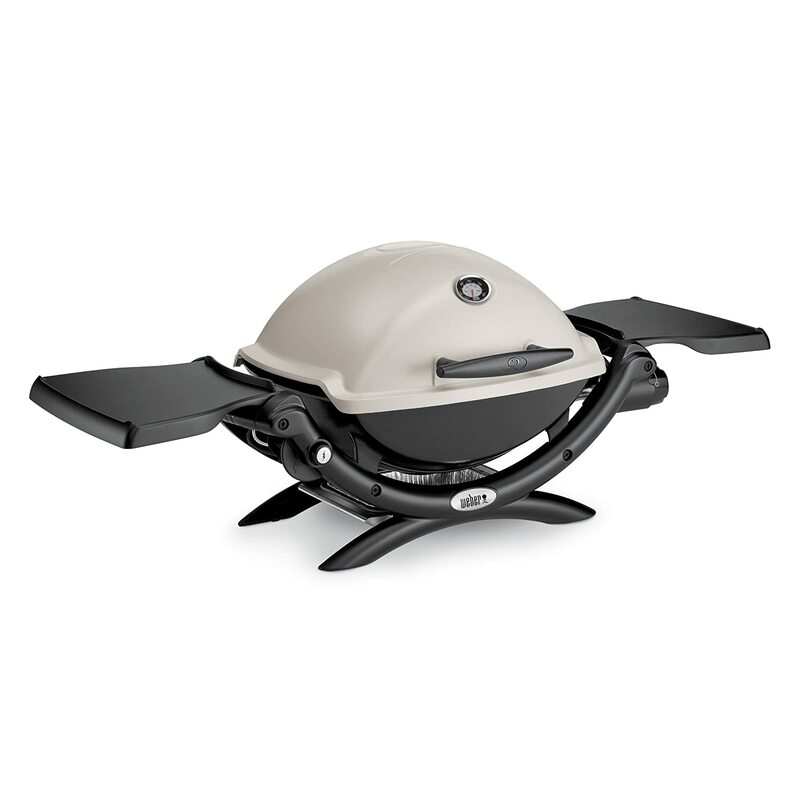 This gas grill is compact, sleek and easy to set up without taking too much space in your backyard! What’s underneath are 4 solid stainless steel burners that allow you to set 4 different cooking zones. It may not be your standard gas grill but the Blackstone expansive cooktop allows you to cook sumptuous dishes for a party whether big or small. The ignition is just in one push! It heats up quickly and distributes heat well that leaves your meat, vegetables, chicken and fish in its juiciest and tastiest. It also has a grease channel that sets away and catches the grease from your food. Though Blackstone flat top gas grill is one of the best-sellers on the market, there are some drawbacks we’ve found. The legs seems fragile and not as sturdy as it looks. Not all consumers prefer big and bulky gas grills and if you’re among them, the Weber Q1200 portable gas grill might be your best bet. Its compact size allows you to take your grilling off of your backyard to a park, beach or wherever you want to. It is portable, easy to set up, user-friendly and putting it away is trouble-free. The grates are crafted with porcelain enamel coat, stainless steel and porcelain enamel cast iron to ensure high retention to heat, durability and more distributed heat. Cleaning’s easy too! We love how you could just cover it up and fold the sides whenever you’re done using it. The grease channel also catches the grease from the food you’ve grilled. It’s indeed a great deal for a very affordable price. There aren’t any major issues regarding this portable gas grill. However, attaching the propane bottle seems a bit difficult. If you’re into beautifully seared steaks, you need an infrared burner. Hence, you might opt for the 2-burner Char-Broil TRU infrared gas grill. It promises an even heat and deliver high heat or very low heat temperatures. The folded side shelves are also an impressive part of this grill. They are made of metal and are available for your grilled dishes. The grids are double porcelain-coated that are easy to clean. If you notice, there’s also an enclosed cabinet where the tank is kept. This can also be a great storage for additional grill tools. When it comes to heat, it sure does know how to heat up very fast! The two burners are just enough to grill your select delectable dishes. And when you’re done using it, you can cover it up with a lid. It isn’t easy to pick out which among these gas grills stand out. We’re actually had been contemplating between the Weber 46110001 Spirit E210 and Blackstone Flat Top Grill Griddle Station for a backyard grilling. Both are mobilized with the built-in wheels, do not consume too much space and provide an optimal heat for cooking. 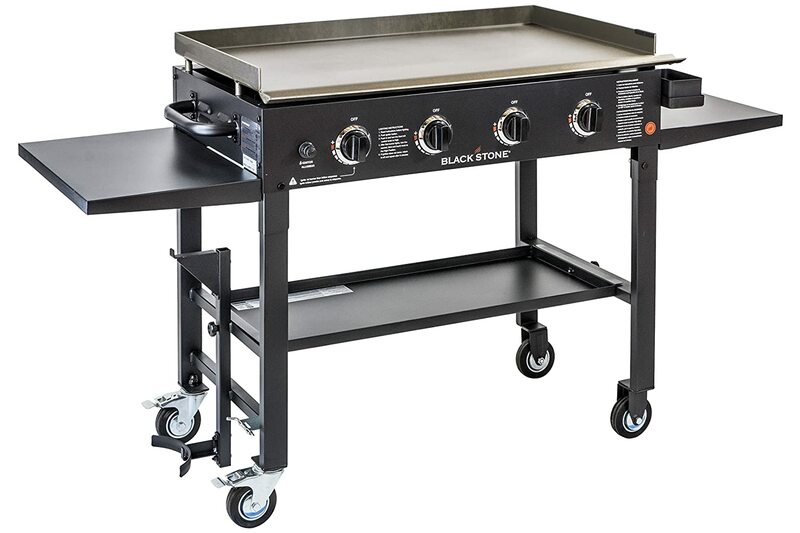 However, based on the general features, performance and price, the Blackstone Flat Top Grill Griddle Station captured our taste. It is affordable, heats up quickly, durable, expansive cook top, and promotes mobility. It deserves its rightful spot as one of the best-sellers on the market! On the other hand, the Weber Q1200﻿ stood out among the portable gas grills. It is very portable due to its compact size and is a gas grill that you’d definitely take with you on your travels. It is easy to set up, easy to clean and very durable. Depending on the budget, the options of choosing the best gas grill for the money is also different then. We will have best gas grills under $1000, under $600, under $500, under $300, under $250, under $200,... So let's check your budget first, and work on it.